Podcast 170 – Team Canada Fundraiser Tournament Batreps! Hey, actual batreps on our Battle Report podcast! Insanity! This is Part 2 of the discussion (if you include the list discussion from last week! )… and it’s… hmmm. It was very educational for all of us, I think! Podcast 159 – Who Ya Gonna Call… Ossyan! This week, Combo Smite is talking Ghost Fleet… specifically, Ghost-Fleet-Busting… and Nick is gonna spend some time discussing Retribution-centric tactics. A lot of this is Nick Theory-crafting, but hopefully you guys will find it useful. Next week we’re going to talk Errants vs Idrians (I’ve already run some preliminary experiments… and the results may be click bait! ), but for now, let us know what you think about his tech! Hello listeners! This week we do the last OTC battle reports we’re going to cover in the main stream (Kassem may yet talk about how he did on “Strategy Street”, but that’s up to him!). 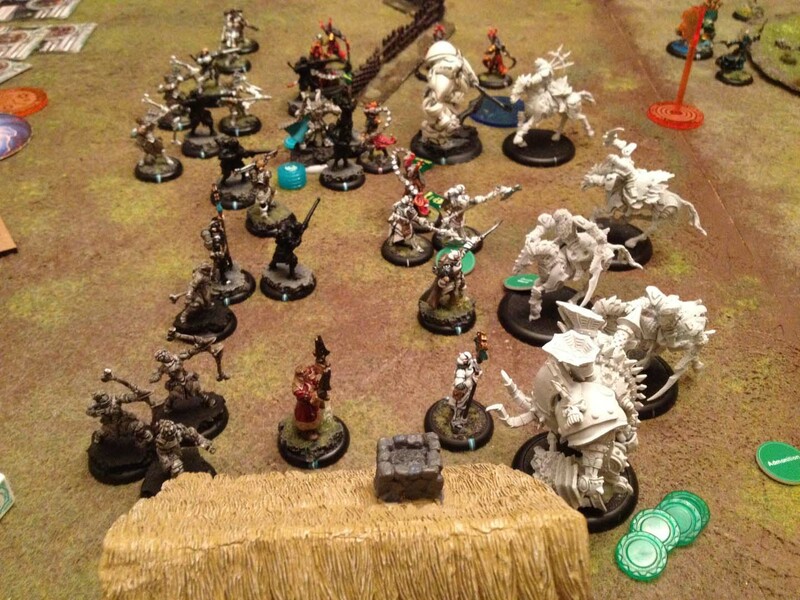 Mostly, we talk with Darrell about Menoth, but I managed to sneak in Todd’s batreps in the week since we recorded… so enjoy! This week we’re doing another time-warp episode doing analysis on Todd’s tournament results. I really enjoy doing these episodes, and I’m looking forward to doing another batch of them soon (I’m running another tournament in February, and then there’s the Ontario Team Championships, another tournament in April… lots of batreps, lots of analysis, lots of good things!). Anyway! Give a listen, and remember that the analysis and tournament were both pre-Errata! Heck, we recorded the first half pre-Winter-holidays! This week we have another set of battle reports for you to check out, fresh off the tournament-circuit… and we recruited the help of one of the Four New Gamers, Rob! Great event, and for a solid cause… good luck at the WTC, Team Canada! And for our listeners, and opportunity to listen to a bunch of battles and learn some valuable lessons! Podcast 120 – Retribution Discussion! Sorry for the delay due to my computer/software sucking last week… but your patience has been rewarded! It’s a doozy, folks. Another 5 hours, talking about all the pointy eared genocidal maniacs. ALL of them. For five consecutive hours! This week on the Podcast I dusted off my Retribution for the first time in a few months and was matched-up against Adam and his Cryx.